Celebrate your rich and lively marriage with this vibrant and colorful watercolor print. 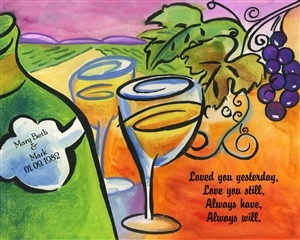 Personalize this artwork with your names, wedding date and a touching quote. It'll become a unique anniversary gift to be remembered for a lifetime.